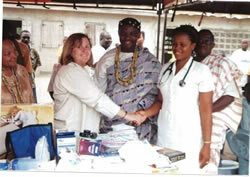 Ms. Susan LaSpina, RN from New York presented a large quantity of donated medical supplies worth $2,000 (US dollars) to the Atorkor Community Medical Centre. 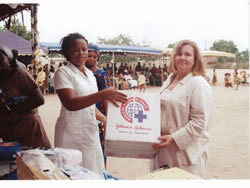 The items included an autoclave, stethoscopes, sphygmomanometers, thermometres, a baby weighing scale, Diabetic supplies – insulin syringes and glucometre strips, Strep-A testing kits, various sterile dressing supplies and wound care agents, scissors, sutures etc, a Johnson & Johnson Medical Mission Pack full of over the counter medicines and several nursing textbooks. This donation was made possible through the generosity of Ms. LaSpina’s co-workers at Jacobi Medical Centre in the Bronx, NY and the various medical supply companies which she had solicited for help, including 3M/Littmann Stethoscopes, 3M Health Care, Bayer, Medical Indicators Inc. and Jacobi Medical Centre. 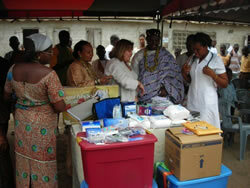 The items were received on behalf of the Centre by Miss Suzzy Sabadu, head of the Centre. 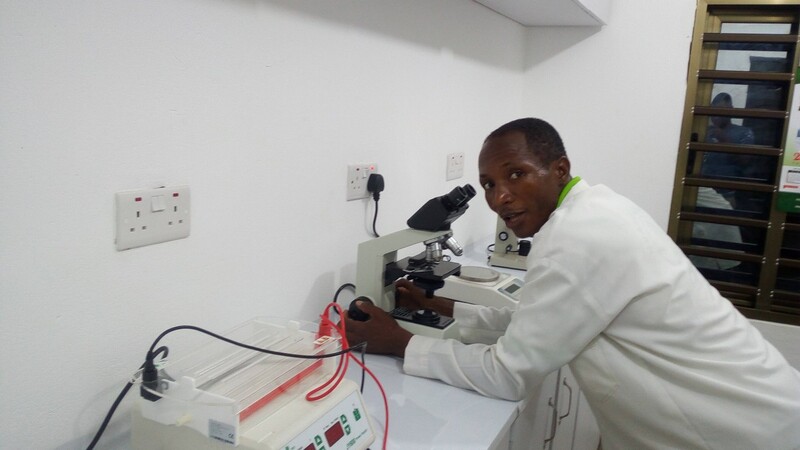 Ms. LaSpina spent three weeks in Atorkor volunteering at the Medical Centre and participating in the initial phases of the mass house to house health screening exercise.